South Africa native Andrew Park started golfing at age 11 and was later selected to play on the South African Junior National Team. His 4 tournament wins throughout his college career at Brevard College and the University of South Alabama led him to make the All-State, All-Conference, and All-American teams. In 1993, Andrew turned professional and went on to win 2 mini-tour championships. He then returned home to play on the South African PGA Tour, scoring several top 10 finishes and 1 win. A few years later, Andrew decided to pursue a career as an instructor, and has since helped some of the world's top juniors, PGA and LPGA players at Warwick Hills and the David Leadbetter Golf Academies, where he worked for 17 years. 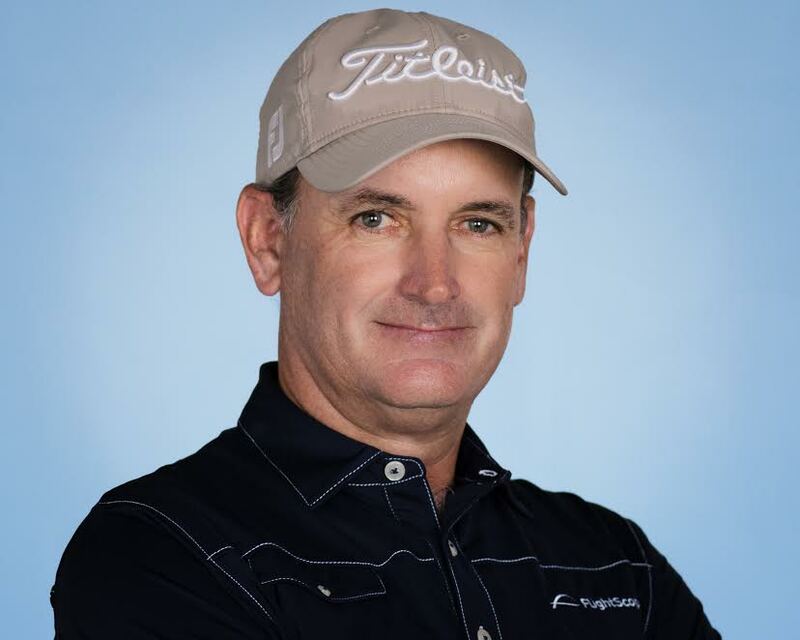 Finally, in 2014, Andrew decided it was time to open up his own academy in Orlando, FL, where he continues to teach PGA, LPGA, European Tour, and Web.com Tour players, as well as some of the World's top collegiate golfers and juniors. He has since been placed among Golf Digest's Top 50 Instructors in America, and continues to be one of FlightScope's partners and influencers as an Advisory Board member. See what Andrew had to say about his favorite FlightScope products and why the technology is the best in the industry! FS: When did you first start using FlightScope products? What model was it? AP: I was working for an extremely famous academy back in 2003 where we used the first FlightScope EDH - the very first radar ever used for golf. In 2014 I decided to start up my own Academy and chose FlightScope over any other brands because of the reliability. FlightScope Xi and Xi Tour were the 2 models I started out with in 2014. FS: What product(s) do you currently use and why? AP: I currently use the X3, Xi Tour and the Mevo. My favorite is the X3 which is the best radar ever produced. FS: What is it about FlightScope technology, products, and the company in general that has made you a loyal user? AP: FlightScope is by far the most accurate radar in the sports industry. Henri Johnson, the CEO and Inventor of the first Radar system for sports, has always tested and retested FlightScope systems to make sure that they are 100 % accurate. His passion to ensure that the data is correct is the reason why I have always believed in FlightScope. FS: What are your thoughts on the new FlightScope consumer model - FlightScope mevo - and how it might help grow and improve the game? AP: The mevo is a brilliant model. It is the smallest in the business and perfect for golfers looking for the common numbers. It can also be used in other sports like baseball - I even use it for my son’s baseball pitching and batting, which he finds fascinating. I see the mevo as similar to what we saw with Bushnell: it is small in size and convenient for every golfer to have one in their bag for improvement. FS: What is your favorite golf course? FS: What is your favorite club in your bag? FS: What other hobbies do you have outside of golf? AP: Watching my kids play sports and playing Grand Turisimo on PlayStation. FS: Who is your favorite golfer of all time? FS: Are you a fan of any other sports? Who are your favorite teams? AP: Soccer (Manchester United), Baseball (Boston Red Sox), Formula 1 Racing (Ferrari), and South African Cricket and Rugby. FS: What accomplishment(s) are you most proud of? AP: Apart from teaching accolades (found on my website), I am most proud of getting my wife onto the LPGA within a year and seeing golfers improve. Whether it’s improving their handicap, helping them win a major tournament, or simply helping them gain distance, it makes me feel prouder than any award. To learn more about Andrew, visit andrewparkgolf.com.